A repositioning cruise is exactly what it sounds like – a cruise where the cruise line is repositioning the ship. 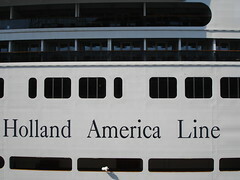 They’re typically cheaper because the cruise will start in one port and end in another. It’s really an innovation in an old business practice when you think about it. When they used to reposition ships, they would just sail them from one port to another. Now, they can make a little bit of money by making the trip an actual vacation. It actually happens a lot more often than you’d think and the cruise is very affordable. For example, check out this Holland America 15-day Atlantic Coastal Cruise (the deal is no longer available) for a mere $999. You start in Fort Lauderdale, FL and end in Montreal, making numerous stops along the way. That absolutely kills my “$100 a day” is a cruise deal rule. The big thing to keep in mind before you consider a repositioning cruise is airfare. Unless you live within a cab ride of the departure or arrival port, you will need to buy two one-way tickets. This could increase the price of your cruise so factor that into your decision. Many airlines, such as Southwest, no longer penalize passengers for one-way ticket purchases, so this may not even be a big deal but you don’t want to be surprised. Finally, not all repositioning cruises are cheaper. Some cruise lines have become savvy to the idea and are offering them as an alternative to the typical cruise, so comparison shop and don’t fall in love with the price. Have you ever been on a repositioning cruise?